Born in 1964 in Warsaw. Graduated (Distinction) in 1990 under tutorage of Prof Stefan Gierowski and Prof Ryszard Winiarski. 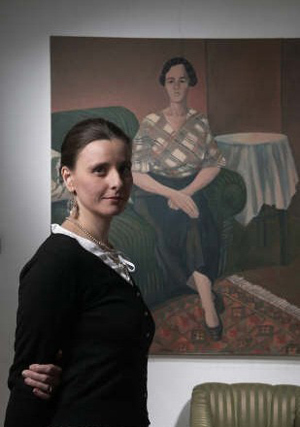 Bogna Gniazdowska finds topics and inspiration for her paintings in old photographs, notes and diaries – in the past. She doesn’t copy them but ‘tells’ the story “once again, in her own way”. She simplifies the compositions, synthesizes them and gives her hieratic models timeless character. Recently, to her repertoire of motifs, she has added animals which portraits she arranges into triptychs or more developed cycles. 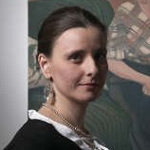 The colour scheme of Gniazdowska’s paintings is usually a monochrome, dim, as if taken from sepia photographs.